Home » Miscellaneous » Dembare Vs Bosso : Should we be considering Goal Line technology? Dembare Vs Bosso : Should we be considering Goal Line technology? Over the weekend I didn’t get the chance to watch the Premier Soccer League match between Dynamos and Highlanders, but the vibes I am getting from Highlanders fans are those of ones reeling from a terrible injustice. All this anger is coming from a goal that Highlanders was denied after the assistant referee, Bongani Gadzikwa ruled Edmore Muzanenhamo offside. SuperSport commentator, Steve Vickers, after a post match analysis agrees with the supporters that in fact, no offence was committed by Highlanders and they were robbed of a genuine goal that would have seen the score tied at 3 all if the goal had been allowed. How does goal line technology work by the way? 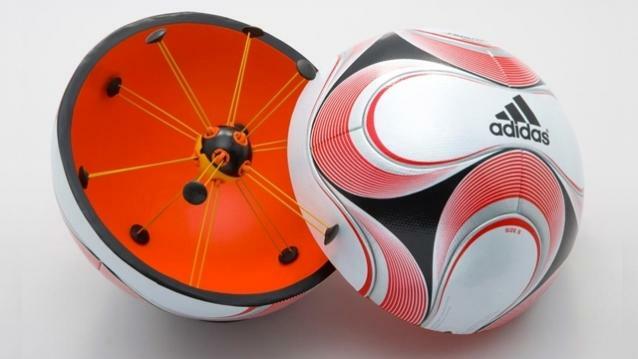 A look at the trending technologies in use reveals that there are three main technologies, one that simply uses overheard “hawk eye” cameras, one that embeds cameras within the goal posts themselves and another that includes electromagnetic equipment inside the ball and the goal area. All the three report a goal within a few seconds over an encrypted channel to the referee and match officials. It seems from FIFA’s website that for the present moment they will only allow technology assistance in refereeing within the Goal context and nowhere else in the field. In my layman’s opinion, this makes no sense really because why would they only be interested in whether the ball actually went in without being equally concerned about whether the striker was in an offside position, such as the Highlanders goal. I suppose the whole thing to me is absurd considering that we had just as much fun scoring between two bricks with no sidebars or top post as kids with a hweshe. Personally I think the whole tech in football business takes away the “game” of it and brings in the “officialness” associated with cricket and other sports. What happens when the equipment falters and fails at a critical moment? Imagine, with the recent FIFA fiasco, hackers protesting by penetrating such a system and causing all sorts of mischief. Imagine 60 thousand adrenaline pumped fans waiting for a tech guy in some cockpit at the stadium running numbers to determine which team proceeds to the World Cup and instead a “You-have-been-hacked” message is thrown onto the display. One would laugh this off as a joke, but some real flaws exist within the system. If a ball has been altered to carry meshes with magnetic fields, what’s to prevent and assure fans that there will not be any outside interference? Is the ball going to maintain the correct weight during the course of the game? With the caliber of governments in Zimbabwe football as an example, how are we to trust that a tender to supply such a system has been awarded to a vendor who is certified and at the same time, would we afford to maintain the system? While it is not a requirement at FIFA level that this technology be implemented as they did with the artificial turf at Rufaro, the technology has already been used in 4 continents. Countries and clubs that need to install referee assistance equipment must undergo a rigorous program that is overseen and certified by FIFA Quality Programme professionals. Other vendors that have excelled in GLT include GoalRef and Cairos GLT system which both use radio and magnetic field technology and Goalminder which uses high speed cameras. I don’t know the general opinion within Zimbabwe football but personally i think technology should have no place in real time officiating, after the game maybe. Goal Line Technology requires 14 cameras at each stadium which requires $256k. An extra broadcasting van will be needed. In the EPL it costs $4,000 per match to run the system. However, the most obvious fact in Zimbabwe is that GLT only works where live broadcasting for all games is available and we are still decades away. GOAL Line Technology would not have helped at this game, the writer is confusing issues . Goal Line Technology (GLT) simply determines whether the ball has crossed the line or not. The incident between Dynamos and Highlanders was an offside situation not whether the ball had crossed the line or not! We are still behind interms of technology. To err is just being human. Its a question of shall we say the match official’s decision is final even if we have otherways of proving the real circuamstances. The refree erred, but the camera recorded it as it is. There will always he errors in the soccer games technology might help here and there but the game of soccer is a fast pace game and can not be controlled by technology like tennis or cricket. That’s why you find out that soccer has three referees manning the game at any given time. Technology though makes it interesting when we go back to analyse the games, but if game was controlled by technology it will lose its interesting pace and will become dull.